Renowned for his intricate physical characterization and flawless comic timing, Aaron Ferguson is quickly establishing himself as one of the top international comic tenors. A pupil of celebrated soprano Nancy Argenta; he is an alumnus of the Atelier Lyrique de l’Opéra de Montréal, Glimmerglass Festival’s young artist program and Pacific Opera Victoria’s Young Artist Program. Recently he made his Glimmerglass Festival debut as Le Chevalier Danois (Armide), a role he performed at the Royal Opera of Versailles and with Opera Atelier. In the fall, he travelled to Oman by invite of Sultan Qaboos bin Said Al Said to perform at the Royal Opera House of Muscat (The Music Man). He worked under Academy Award winner Estelle Parsons’ direction in Kurt Weill’s Johnny Johnson, performed Britten’s Les Illuminations at the Chapelle Historique du Bon Pasteur, Blind (Die Fledermaus) with l’Opéra de Montréal, as a guest artist at the Opéra de Québec Gala and Monostatos in (Die Zauberflöte) with Opera Atelier, Opera Columbus and Penn State. Other appearances include Basilio/Curzio (Il nozze di Figaro), Nika Magadoff (The Consul), Borsa (Rigoletto), Monostatos (Die Zauberflöte), Spoletta (Tosca), Le Doyen (Cendrillon) and as Charles Gill in Andre Gagnon’s Nelligan at l’Opéra de Montréal. He has been seen as Lysander (A Midsummer Night’s Dream) at the Banff Centre, Apollo (Semele) with Pacific Opera Victoria, Riot in Carl Davis’ (Peace) at the Summer on the Shannon Festival in Ireland, Sam Polk (Susannah) and Albert Herring, with Opera Nuova. 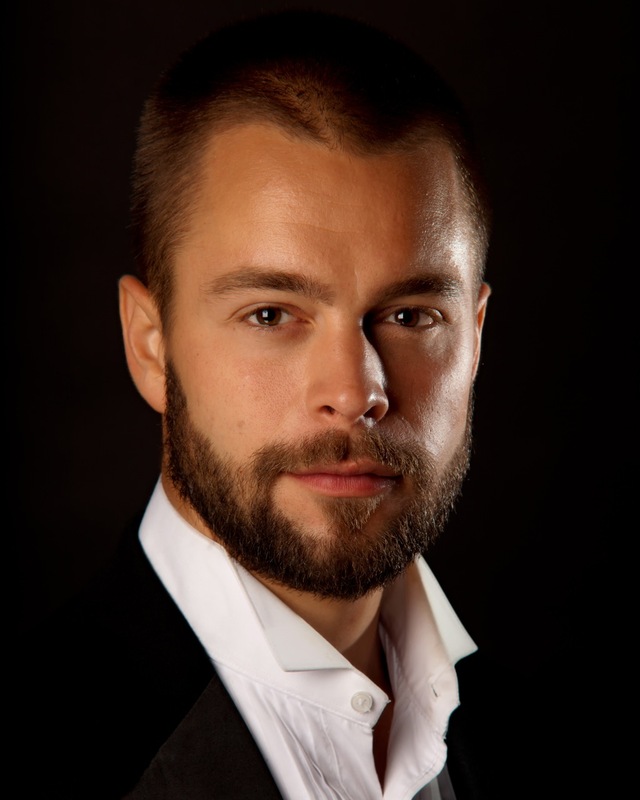 He has appeared with The Toronto Symphony Orchestra, l’Orchestre Métropolitain, Tafelmusik, the Victoria Symphony, Orchestra London, The Vancouver Chamber Singers and The Victoria Choral Society. Upcoming engagements include a return to the Royal Opera of Versailles and Opera Atelier as Euryale (Persée), Gastone (La Traviata) with Opera Highlands, Blind (Die Fledermaus) with Edmonton Opera, Goro (Madama Butterfly) at l’Opéra de Québec and Jupiter/Anfinomo (Il ritorno d’Ulysse in patria) with Opera Atelier. He has collaborated with Francesca Zambello, Timothy Vernon, John Demain, Yannick Nezet-Seguin, Nader Abbassi, Laurence Cummings, Marsha Milgram-Dodge, Jeanne Lamon, Daniel Lipton and Alain Trudel. Marshall Pynkoski on Armide: "Love is amoral."